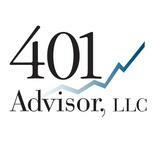 The following article was written for subscribers to our 401k advice web site, http://www.FundtraderPro.com. My marketing friends tell me I need to communicate more. My response is that I hate writing when I really have nothing new to say. And honestly, the last post on April 5th (below) is as true today as it was then. Tariffs are front and center and dominating trading. The market hates uncertainty. Professional traders can make money when the market is up or down. Sideways markets are difficult for everybody. Eventually, the market will breakout, in one direction or the other. Below is a year to date chart of DIA, a Dow Jones tracking ETF, can’t get much more sideways than this! We started rotating into more conservative investments and even getting out of the market entirely with a portion of some plans as early as February. That was a tough call. My “gut” said we would regain the January high before sliding into the sideways summer doldrums. And that is why it is important to have a rules-based, unemotional strategy as a guide to making investment decisions. Granted, in or out hasn’t made much of a difference in hindsight. But on the risk/return scale, you are always better off in a risk-free investment than a risky one, if the riskier investment isn’t making you any money. I have not yet run our model for July changes. But I feel pretty secure in predicting the outcome: holdings will be “bar belled” between cash/money market/fixed accounts and the riskier small-cap growth investments. Cash because the large caps are going nowhere, and small caps because they are less affected by tariffs. The media will latch on to a topic for a few days, get bored and move on to something new. While “insider” writings; blogs, newsletters, articles…by real money managers will tend to stay focused on topics until they either come to fruition or circumstances truly change. One such topic I read more and more about is “liquidity”. In short, liquidity refers to the ability of the market to absorb a wave of selling with buyers that will step in and stabilize prices. Between Dodd-Frank legislation and program trading (sell first, ask questions later) there is a very big fear that the next market sell-off will be very quick and very severe. Unfortunately, such analysis does not come with a “when”. The strength of the Fund Trader Pro system (and 401 Advisor strategies) is its backtested ability to limit portfolio damage in prior market sell-offs. (Past performance is not a guarantee of future results). However, if a big and fast sell-off were to come to fruition, it would certainly test our system. I say this now, to let our subscribers know, that we are well aware of this possibility. And are vigilant in monitoring the market and market indicators. Earnings for the second quarter and good results will temper tariff talk, and prepare the market to extend this rally after the fall election. However, anything can happen. Our FTP (and 401 Advisor) strategies use multiple signals to determine when to suggest moving funds to safety. While we can’t guarantee future results, I will stress that you will not be seeing recommendations based on a buy and hold strategy. We will make every effort to ensure that our strategy prudently recommends being fully invested or moving out of the market entirely as appropriate. If you have any thoughts, questions or comments always feel free to email me directly at wdeshurko@fundtraderpro.com. I wrote this article myself, and it expresses my own opinions. I am not receiving compensation for it. I have no business relationship with any company whose stock or fund is mentioned in this article. Investing involves risk. Past performance is not a guarantee of future results.